The new owners have moved into Steelmanville Road and their daughter Renee is home alone her first night. Unexplained things start happening immediately and at first, she believes some of her friends have snuck in the house to scare her, but soon she learns it’s something evil. The source of evil appears to emanate from a clown doll she found in a locked box that’s now free. 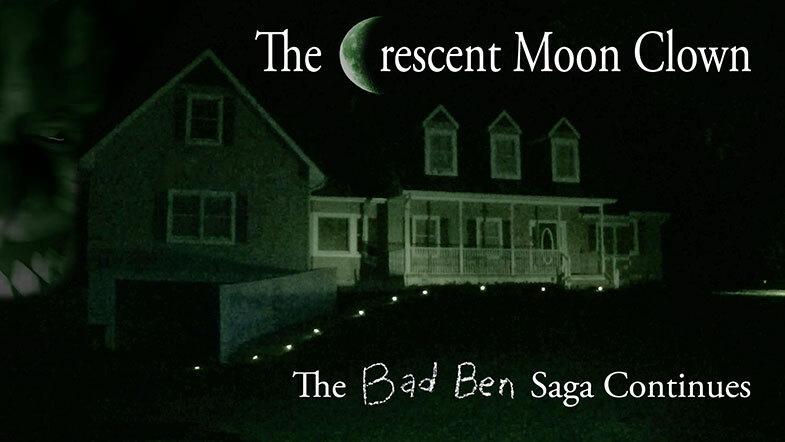 I’m a big fan of the Bad Ben movies but I will say this one is my least favorite of the bunch. Just too many little details that really made no sense and bugged the crap out of me. Unfortunately, he has been about 3 weeks since I watched this flick and honestly can’t remember all the things that annoyed me. But I do recall it was a lot of things. One of the big things was the main character going down into the basement and grabbing a chest and bringing it upstairs and cracking it open. I myself couldn’t imagine staying in my parent’s house and grabbing a random chest and breaking into it. Then when the ghost or whatever wrote on the kitchen floor the amount of time it took her to clean it up was just plain silly. Getting a mop and everything. She could have just grabbed some paper towels and cleaned it up. I’m slowly starting to remember some of the other things that bothered me, granted they are small and petty but it’s all the same. One is the sandals Renee is wearing, really don’t feel like listening to her clopping around the house and when she goes to set something on the porch she takes the time to go get her coat. I mean come on, she is outside for a whole .5 seconds but she needs a jacket. The last thing I’m going to complain about is the house in general. I realize Nigel films these movies in his own house or I am assuming it’s his but in the movie, Renee’s parents recently bought the house. I understand you can buy a house and it comes fully furnished but everything is the same in this movie. Did Renee’s family have none of their own stuff? Everything is the same as all the other movies. As much as I complained I still rather enjoyed the movie and if you have watched all the other Bad Ben movies you must watch this one also. I will be patiently waiting for the next movie in the saga to come out. Next story The Cabin (2018) | Fear has found a home.